Michelle Mercier is an international best-selling author, engaging speaker, passionate coach, and experienced business consultant. Her mission is to help individuals and organizations develop a vision and successfully execute the steps necessary to make that vision a reality. Michelle has 15+ years of corporate and professional experience. She has worked with a wide range of different businesses – from nationally acclaimed nonprofits to Fortune 500 corporations. This wide range of experience has enabled her to become an expert in leadership, change management, scalability, marketing, and technology. She also possesses an expertise in training and professional development. In addition to her coaching/consulting practice, Michelle is the CEO/Founder of Create Honesty, as well as the Managing Director of the Worcester Area Chapter of Polka Dot Powerhouse. My mantra for working with clients is “organize, strategize, and monetize.” Each of those categories can be applied to your business and there should always be a synergy between them. Whether it’s streamlining your client on-boarding process, setting strategic goals, or pricing your services or products appropriately - they are all equally important to one another and the success of your business. What's your top productivity secret? Maintaining a set of habits that set me up for success. My favorite habit is to “bookend” my day. The day begins with exercise, meditation and education. I end my day with a gratitude practice and reading for pleasure. I may only be able to dedicate 5 minutes to each of these bookends but there’s something very grounding in having them in place. I don’t. I had been trying for years to “balance” everything but it always felt like I failing. I had to work hard to shift my thinking to work-life integration instead of balance. I look holistically at my world whether it's parenting, entrepreneurship, self-care, etc. Some days the lines get blurred between all my aspects and that’s OK. I’ve also learned to allow myself the grace and space to be imperfect! Originally from Vermont, Ashley Clay is the owner and lead planner of Eventfully Yours, a local event company that offers full hospitality service for any size event. After spending over a decade working in the hospitality industry, this softball star turned event planner comes fully equipped with all the necessary tools for any situation. Not only is Ashley dedicated on and off the field, she is also an award winning artist, bringing both vision and craft to play together. In her (limited!) downtime, Ashley likes to travel throughout New England, watch horror movies and and enjoys sleeping in! Where did your business concept of Eventfully Yours originate from? I have always known I was meant to work with people in a creative way. Watching my mom regularly engage and entertain the community as Recreation Director, I gathered my sense of hospitality from home. I knew food and smiles were connected, and that I enjoyed everything good that came from sharing it. But how did that tie to how I would make money? All the hospitality related jobs I had along the way allowed to me have a diverse range of knowledge, from making coffee to management style, and I took notes along the way. Now I am able to coach our staff from a hands-on perspective that one wouldn't have without professional industry experience. It took the years of learning to really direct me into my goals, that now I could describe my event planning style as energetic & creative with an emphasis on taking care of each and every guest. What sacrifices have you made that have led to your success thus far as an Entrepreneur? For many years, I have had to sacrifice nights, weekends and holidays to make sure that my clients are being cared for. I wanted to be the face behind the name, to really put a personal touch on every event we are a part of. I am very lucky to have a spouse who is also in business, and understands when the phone rings in the middle of dinner, that I get up to take a call. It is a two-way street in our household, and I am very lucky for that level of understanding and support. Where do you seek and find inspiration as a business owner? I know the classic answer of "everywhere" is very overused, but it is so true! I really like to learn about my clients as people before I am able to deliver top notch service to them. From the normal coffee date to cocktail meeting, I am able to gather the knowledge and inspiration I need to operate at a high level. I feel like asking the right questions via open conversation is extremely important. After truly listen to the responses, I allow my inner child to run free. Creativity is something I have always enjoyed and have been encouraged to explore. Where there is a vision, there is an event planner with a trick up her sleeve! Dr. Daryl Cioffi, LMHC, Ed.D is the innovative and modern-day wellness doyenne who is reshaping corporate and institutional visions of wellness. As co-founder of her private practice, Polaris Counseling & Consulting, Dr. Cioffi has harnessed the vision to empower individuals in becoming “well beings” into a practice and company that inspires purposeful changes in revolutionary ways. 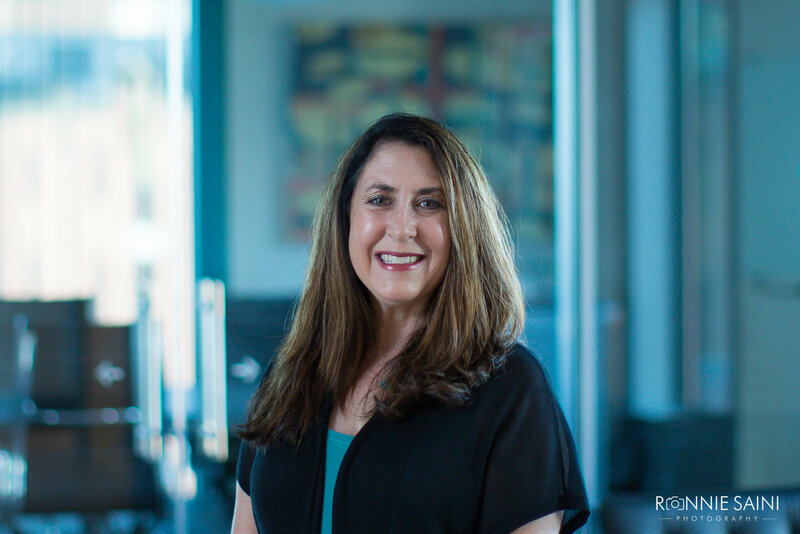 In her consulting work Dr. Cioffi specializes in challenging leaders, audiences, and organizations to redefine their values and views of success, wellness, and work-life balance. Her viewpoints and teachings on wellness have reshaped the way we think and practice well-being both in and out of work. Dr. Cioffi has undoubtedly made her mark, appearing on national radio and print as an expert on wellness in the Huffington Post, Medical Daily and Social Work Today. Her first book "Be Freud" made the Amazon bestsellers list in 2016. A professor of neuropsychology and psychotherapy, Dr. Cioffi teaches and special lectures at many colleges in the New England area when she is not counseling and consulting across the country. I’ve worked in the field of mental health for over 10 years and have found that while there are an abundance of resources available for individuals in crisis, the same often cannot be said for individuals who fall under the umbrella of something I call “well-ish”. The “well-ish” person is perceivably OK - that is, they don’t have any glaring issues, and they are able to function normally for all intents and purposes. But they aren’t fully satisfied; they possess a deep desire to better themselves and, in a sense, “elevate” their lives. Psychotherapy is often a wonderful option for these individuals, as it is a safe and supportive environment which lends itself to self-reflection, unexpected challenges and important insights. My business partner and I designed POLARIS (www.polarisri.com) as a boutique private practice with the vision of creating a haven for the “well-ish” to become whole. By seamlessly combining innovative clinical treatments with the ideals and values of holistic healthcare, we are proud to have cultivated an environment where unbridled wellness is becoming a reality in our client’s lives each and every day. As I grow and change, the work that I do is always evolving with me. As part of my doctoral thesis I conducted research on perceptions and practices of wellness among high-ranking executives. It immediately became clear to me that the relationship between wellness and success is a complex one, which is how I started my consulting firm (www.drdarylcioffi.com). It is my hope that by being a strong and steadfast advocate for integrating the concepts of wellness and success, leadership development as a whole will be redefined. Success for me is so multifaceted. For one, it is rooted in wellbeing, in the sense that I would not consider myself successful if my mental, spiritual or physical health were in a state of neglect. It is also freedom - the freedom to create, and plan, and make something happen without restraints. Perhaps most importantly, it is happiness and fulfillment. The second anything starts to feel like work, I know I need to re-evaluate what I am doing because I am not necessarily successful anymore. I’ve always thought work-life balance was a strange paradox, especially for women. We instinctively want to problem solve, nurture, and see something succeed, yet eventually we end up resent having to give up our personal time (or at time work) to do so. So I am not sure there IS such a thing as work-life balance, especially as a business owner. For me, the goal is trying to master a work-life “sway”. I know that there will be times when my business demands more of my energy and attention, and others when I need to take a step back and dedicate myself to other aspects of my life. When I have a lot on my plate at work, establishing a concrete plan allows me to visualize my workflow and keeps the tasks from getting out of hand. It also helps me organize my time, and allows me to clearly communicate expectations to my family and loved ones. When I do take a break from business mode, I need to trust that my employees and partner can handle things in my absence. To be honest, this was extremely difficult for me at first but over the years I’ve come to realize that it is something that is essential to my own wellness and sanity. Other times, I need to devote my efforts to myself and own personal development. In these times work, family, and even just “life” in general have no place. This time for me is sacred- it’s reading a book, traveling, reflecting quietly, working out (also known as shopping), or taking time out to “recharge” myself. If I can’t be good to myself I can be good to anyone else at my office or in my home. Amy is the Founder of Overseasoned, a multifaceted food venture with a fixation on seasonality. Overseasoned began as a monthly publication of handmade miniature cookbooks and has grown to include an online store of rad kitchen accessories as well as catering services. Amy is obsessed with orienting life around seasonal food, the British Baking Show and her adorable dog Chowder. She is a self-declared “pasta making queen” and enjoys tasting her way around the Boston food scene with her fiance Dek. I’ve always been completely food obsessed. I spend a great deal of my free time cooking, baking, reading about food or adventuring to new restaurants. So a few years ago, I wanted to find a creative way to share this passion and the recipes I was writing with my friends and family so I began publishing my recipes in the format of a handwritten, mini cookbook (or zine). I shared 8 - 10 recipes per month that featured a few ingredients that were particularly seasonal during that time for example, strawberries during June, zucchini during August. I accompanied the recipes with watercolor illustrations and, as the project evolved, color photos. My subscribers really enjoyed being able to physically read the recipes in person and have the mini cookbooks out on their kitchen counter to reference or just for display. The recipes and aesthetic for the project were inspired by my childhood growing up with an enormous backyard vegetable garden which yielded so much at times that it was overwhelming to attempt to eat everything. (Think attack of the zucchini vibes). So my mom was always getting creative with her preparations of these fresh veggies. I adopted that same creative and fun-loving mentality towards seasonal cooking and I strove to emphasize it in each monthly issue of Overseasoned. My goal was to show my readers how they can celebrate whatever fruit, vegetable or herb is ripe at the moment through simple recipes. I published 18 monthly editions of Overseasoned and have since paused production because I’ve now amassed a collection of recipes which I plan to publish in a long form cookbook. For recipe creation, I’m constantly inspired by ingredients, particularly fruits and vegetables. Everytime I go to the produce section in the grocery store and I see something that’s newly available like fresh figs or garlic scapes or a simple, perfect peach, I am motivated to get to work creating a recipe that will celebrate it. I’m actually over-motivated by produce and my imagination runs wild when I am shopping. I frequently return home with an ambitious list of things to make before my haul goes bad. I also have a retail component to my Overseasoned business. I designed a collection of kitchen-wares such as tea towels and aprons with my slogan Smash the Garlic and the Patriarchy which I sell and distribute online and in stores across the country from Provincetown to Chicago to San Francisco. Whenever someone posts a photo of one of my products online, that is so inspiring and motivating to me. I can instantly feel how it resonated with them and touched their life and that gets me so excited. Because there are many facets to my business- writing recipes, selling products, catering events- there is a huge variety of tasks that need to get done at any time. I know that I am not always in the mood to take food photos for recipes or assess the analytics of my online store, so I came up with a master list of everything I need to do to run my business and I pick and choose from it depending on how much time I have at hand or how creative I am feeling. I’ve found this to be a very effective way to always be productive. And as a creative person this is also a forgiving approach because I don’t feel pressure to be inventive and come up with a new recipe or concept every single day and therefore my mind is more relaxed. Jillian Ayer owns J. Ayer Massage in Hingham, Ma. She delivers stress-based relaxation massage to women and has advanced training in oncology massage that she gears toward women and children. Jillian has been nominated for the Schwartz Center Compassionate Caregiver award twice and for six years has been a partnering massage therapist to Lucy's Love Bus, a non-profit that delivers holistic therapies to children with cancer. As a result of her work with Lucy's Love Bus, Jillian is currently working at Floating Children's Hospital in a pediatric oncology clinic, bone marrow transplant unit and ICU. Jillian's private practice, located on the south shore of Boston, serves women both in optimal health and in cancer treatment. Her practice is known for its use of the five senses while delivering a relaxation based massage that is truly both a sensorial experience and deeply relaxing. earnest and that is focused on dealing with something out of a soul’s control, that most often builds wisdom and depth in a person. For me, this is what is truly inspirational. to sit on the edge of my own discomfort, often while forging a deeper understanding of myself, sometimes causing me to hold my breath but always inviting me to behold the profound simplicity and healing of nurturing touch. These qualities form the soft skills that any good massage therapist should have (beyond their technical knowledge of the body and its muscles). We build these skills through the life experiences that mature us and the intention to know how to manage our own energy so that we can meet another just where they are. Without these skills, a massage has no depth. There came a moment when I stopped chasing external success in corporate environments and began listening deeply to myself and the things that made me feel more alive. Mary Oliver, the poet, once said: “ you only have to let the soft animal of your body love what it loves.” I love to nurture, and getting in touch with that truth inspired me to leave the corporate world and begin my journey as a massage therapist. I think there is a kind of magic that happens when we authentically align with ourselves. I believe that God tucks a love letter into our hearts before (s)he sends us here. We read the love note out loud each time we chose to do what comes most natural to us. Our natural inclinations are like lighthouses to others on the journey. They call in mentors and teachers as we step deeper and deeper into the world with our gifts. I have been blessed that many people have seen the light from my lighthouse and supported my journey. I think that when we just humbly do what we are strongly called to do, when we gently work to perfect what may already be perfect within us, the opportunities and recognition comes; at least this has been my experience. The less striving that I do and the more aligned I humbly remain, the more doors seem to open up for me. As a woman who has raised several kids, is caring for aging parents, and owns her own business, I see how vital balance through nurturing myself is for accomplishing all that is asked of me on a daily basis. The concept of building a business for women was simply born with the intention to help other women nurture themselves so they can find balance and continue to do all they do each and every day. Women wear so many hats and do so much for so many that I wanted to create a place where they could come and be cared for themselves. My massage services are specifically geared toward women. Kristen is a 31-year old mompreneur, with two kids, ages 5 and 2, residing in Lynn, MA. I own two businesses and prides herself on identifying super “niche” product and service ideas in today’s market. By trade, Kristen is a cosmetologist, and although she truly loves doing hair, she felt the need to reach a little higher and started her own head lice removal clinic in Danvers (Lice Clinics of America- Danvers). Upon getting her first business under my belt and learning a lot, after falling in love with Poke on a family trip to Hawaii and seeing a hole in the local market, Kristen decided to go for it and opened a traditional poke shop in Beverly, MA. As an entrepreneur, Kristen’s goal is to learn something new and make more money each day, always reserving more than enough to give back to her local community. Although balancing life and owning two businesses is hard to put it lightly, Kristen is so fulfilled by her two businesses, and attributes her success to her amazing support system. Social media is by far the most important, and least expensive form of advertising for both of my businesses. I spend very little if any money at all each month on Social media advertising. I primarily use Instagram and Facebook. My approach is to use both of these websites to engage the surrounding community and create awareness actively. Creating posts that result in a “call to action,” Such as posting questions, contests, or even polls, creates a lot of valuable participation and draws a larger following very easily. Creating a social media space where the community, and of course our customers, feel truly valued and involved has not only helped my businesses gain momentum during the growth phase but has also provided us with valuable feedback directly from our target market. What’s your best hiring tip/secret? I have to say; staffing is probably my strong suit. I have the natural ability to read people fairly quickly. When I hold an interview, I conduct it as an opportunity to gauge whether I think a person has the right personality to work alongside my existing long-term staff, as well as to get a strong vision of how they will interact with our customers. Having a strong skill set is, but it isn’t the most important part of finding the right person for the job. Everyone can look good on paper, but not everyone has customer Service skills and the ability to be a team player. Social skills, in both the restaurant industry as well as the head lice treatment industry, go a long way. I am always willing to train a person from scratch if they are the right person for my customer base. When it comes to staffing, my advice is to have specific questions in an interview that will indirectly reveal the personality traits you are looking for, don’t hire anyone that you wouldn’t feel comfortable leaving alone at your place of business, and always go with your gut. Being an entrepreneur offers you the chance to have not only financial freedom but free TIME as well, but that won’t ever happen if you can’t get the right staff in place. I always say that entrepreneurship is not for the faint of heart. In the beginning, if you aren’t willing to literally drop everything and cater to your businesses needs (I call mine my third child), the growth phase will be longer and more difficult. With my first business, Lice Clinics of America-Danvers, I sacrificed a lot. I missed family events, made large financial sacrifices, missed seeing my friends, and was back at work just five days after having my daughter. It was the hardest thing I have ever done but also my greatest professional achievement to have a thriving, profitable business in the first year. With business number two, Lolo Poke Beverly, I fell right back into that phase where it’s a constant inner battle of whether or not all this sacrifice is worth it. I can assure you, if you have an amazing idea, good work ethic, and are fortunate enough to have a fantastic support system, you can and will succeed. It will never be easy but it will be worthwhile and can entirely change your life for the better. Jan Taylor, owner of Get Lively: Mindful Health & Fitness Coaching, is a gal on a mission to help you feel your most “lively” through positive nutrition, movement, and mindset. As a certified health coach, personal trainer, and Pilates instructor, Jan will work with you to uncover what works best for your unique body, mind, and life so that you can be consistent and joyful each day. Jan’s studio is located in Watertown, MA but can coaches virtually and can be anywhere online: www.getlivelynow.com Also check out her podcast “Get Lively with Jan."
This is such a good question and one that shifted significantly for me after leaving my 12-year long career as a fundraiser to start my own health and fitness practice. As an employee at a college, that I loved dearly, I measured my success by my title and salary; and I felt quite successful in these areas. And then I started my own business… I was initially so worried about the financial piece of it all but soon learned that I would be defining success in ways other than title and salary. One of the greatest surprises for me as an entrepreneur was the shift from measuring my success in a monetary way to seeing the look on a client’s face when they did something that they did not physically think they could do. Or hearing the ease in their voice when they finally found a way to release the negative talk in their own head. This has become my currency; this has become my measure of success. As I was considering leaving my fundraising career to open my own health & fitness practice, I was wrought with fears and concerns that I wouldn’t succeed, but something kept calling me to do it. I truly feel that the Universe was guiding me to this place, and I’ve learned that when you resist the path that has been laid out for you, your life gets chaotic. My life had gotten chaotic. A career that I once loved, no longer brought me joy. I knew it was time for a change, but I was terrified. So I asked for guidance, and one morning while driving to my 6 am Pilates class, I heard my grandfather’s voice telling me, “Oh Jan, it’s going to be okay.” I felt him smiling down at me, and that was the day that I decided that I would go for it. That was four and a half years ago… and I’ve never looked back. No secret weapon here as it all comes down to having a plan and being consistent. One of the best things that I’ve done as an entrepreneur was to hire a business coach. Even though I felt I didn’t have the funds, I did it anyway. She held me accountable and helped me to find consistency and rhythm to my business. My productivity really shifted after I determined the “non-negotiables” that would be done every week. For me that is recording my weekly podcast, sending a weekly eNews, creating weekly fitness plans for my clients and small groups, and blocking my schedule. I do these four things every single Friday to set up the next week. Having these items anchored in my schedule each week keeps me focused and from this foundation, I add the layers. The client sessions, social media marketing, developing content and coaching for my monthly membership group, bookkeeping; whatever needs to happen that week. It’s been a game changer for me and the stuff I once feared (how will I ever generate enough content to record a podcast and email every week???) has become just what I do. Meg Wheeler is the Co-Founder of One For Women, an online gift company that sources its products from women makers and gives back to non-profits that support women. She also teaches and mentors women looking to leave their 9-5 jobs and start their own businesses and runs her blog, the Leap of Faith Society. A realtor turned international tax accountant turned startup CEO. Meg is passionate about empowering women, a believer in constant reinvention and never takes herself too seriously. One For Women empowers and connects women through easier and more intuitive gift giving and a focus on promoting women-owned companies to catalyze their growth. Our affordable, curated gift sets, designed for the “small” moments in life such as job promotions or breakups, feature products from women-owned companies and our website’s features such as group gift giving and advance scheduling options save the busy woman time. To further our mission of supporting and connecting women, a portion of our proceeds go back to women’s non-profit organizations. Our philosophy is simple: one small gesture can have one significant impact. When I started One For Women I knew that I did not want to run my company the way most startups are – long hours, handcuffed to emails and burnt out employees. I was very intentional about setting boundaries so that the work would still get done, but I would be able to spend time with my family and be a healthy, happy founder. I prioritize two areas – first, I focus on my health. I schedule time every day to work out and take a short nap (crucial to stay productive! ), and I create a meal plan every week to ensure I am eating good nutritional foods. It may sound odd to talk about personal health when talking about business, but I am more energetic and productive when I am my best self, and this is the key to big ideas and getting my work done quicker so that I can have that work-life balance. The second area I prioritize is finding efficiencies in my business. I have set “work” times for myself based on when I know I’m most productive, and I schedule in family/personal time that is sacred. I also automate as much as I can, and for things I can’t (such as responding to emails), I set up systems – for example, only responding to emails at certain times – to ensure that I stay as productive as possible and can shut down during that crucial family time. It all started when a friend had a bad day, which turned into a bad week. I wanted to cheer her up, so I sent her flowers, which put a smile on her face but cost me a cool $80. I realized that I couldn’t sustain sending my friends these “small gestures” on my budget, and thought there had to be a better way. But I struggled to find one resource for small, affordable gifts and figured many other women, like myself, probably didn’t have the time to search for them either. I almost stopped there. But I quickly realized that I had the opportunity, through the gift sets, to have a bigger impact. To be more than just a gift company. And that’s when the idea of one small gesture, one big impact, was born. Each One For Women gift set doesn’t just surprise and delight its recipient; it supports women makers and non-profit organizations that help women. Through something as simple as a small gift, I am honored to build a community that supports and empowers women and women-owned businesses. Julie Pelletier-Rutkowski, MS, RN, is the owner and principal consultant for Feng Shui Services of New England. She is a certified Feng Shui practitioner and has been consulting and educating about the need for a balanced home and work environment since 2010. She earned Red Ribbon status through the International Feng Shui Guild and a member of the American Holistic Nurses Association. She teaches and writes on the benefits of Feng Shui throughout New England. We'd love to learn more about your business mission and ultimate entrepreneurial goal? The mission of Feng Shui Service of New England is to share the ancient Chinese practice of adjusting environments for balance and harmony. The goal is to share these Chinese secrets making them relevant for today. My desire is to educate those who want to create a living and working environment that is loved. My vision entails helping others to stay balanced and true to their wishes and desires. What inspired the launch of your business? I have worked as a nurse in many challenging environments that have often been chaotic and stressful. I learned about the ancient art and science of Feng Shui by accident. Although there are no REAL accidents, in my opinion! The Feng Shui talk that replaced a professional workshop presenter was the beginning of a journey of learning, self-exploration, joy and fulfillment. The practice of Feng Shui has deepened my commitment to living a harmonious and balanced life that I enjoy sharing with others. My business is working with energy or chi. I have found that I need to keep my own personal energy clear and balanced to be an effective consultant and educator. As a result, I have made my Feng Shui business only part of what I do. I work part-time as a nurse, keeping my schedule open for new Feng Shui opportunities. Networking was not easy for me. During networking events, I spent most of the time collecting business cards. I had hundreds, then thousands. I was overwhelmed. What to do with them? I created a rule I follow strictly: Collect only a few business cards, and give only a few business cards. Also, I always ask permission before adding someone to my contact list; this keeps my email list scrubbed and pure. How do you leverage your social media channels for growth? Understanding the impact of social media is important for every business owner today. I wanted to stay local. Face-to-face contact is important to me. Therefore, I limit my online presence. I have a Facebook page to keep in touch with clients and folks who are like-minded. I announce upcoming events, give Feng Shui tips and inspirational thoughts on that platform. I use email as my main source of communication with clients and potential clients. Because applying Feng Shui to a home is a very personal experience, my finest clients are folks I have met directly at various educational talks. Also, client referrals and recommendations have driven my business. I consider all presentations, workshops, and classes as marketing for my business and services. What is your definition of success as an entrepreneur? The definition of success is different for each person/entrepreneur. Not everyone can climb Mount Everest, there is not enough room at the top. You may have to choose a different, shorter mountain to climb; this is your peak to conquer. Success for me is the comfort of base camp surrounded by the beautiful mountains. Alex Bynum is the founder of Empowher You: A Healing Center for Women in Brookline, MA where she has led hundreds of people to healing through ancient empowerment tools. She is also recognized locally as a master networker and leader in the Boston Community. Alex proves that you can connect your passion for people to create results. Before I started my first business, I wish I had known that there is a Universal Law that states “as within, so without” meaning what’s happening in my internal world is a reflection of what's happening in my external world. Therefore, when I began my business and was feeling stressed out, anxious, etc. that is what I would get reflected back to me! As soon I began to go more with the flow and let go of fear and doubt, I created peace for myself and thus in my business. My idea or concept for my business wasn’t mine nor is it anything new. What I mean by that is it’s super ancient! Once I personally experienced the power of these 3,000 year old ancient empowerment tools that I now facilitate at Empowher You, I was hooked and knew I wanted to help others, too. So grateful! I define success as the ability to help another progress. This isn’t necessarily about just making someone feel better, but what actually serves them in the long run. Success to me is supporting, nurturing, and loving others as they grow into who they already know themselves to be. Whether it's on her podcast, via social media, or at regional events, Alex brings a unique mix of charm, awareness, and discipline to traditional business. As a highly demanded expert in the field of healing, her networking and relationship skills have brought her to major companies such as State Street and Whole Foods. Lauren Bateman is the Founder of LB Music School in Medford & Wakefield—an Entrepreneur who took a massive risk in 2010 to leave her secure 9-5 position in the pharmaceutical industry behind to pursue her passion for music. Today, The LB Music School aspires to inspire. They foster creativity and confidence through fun and supportive music instruction, with the goal to help students of all ages develop both life-long discipline and happiness. I use something called the 5-priority rule. Which is setting 5 things you are committed to completing that day. 3 of those priorities are business related and 2 of them are personal. These tasks can be big or small, but they must be completed by the end of the day. A big thing entrepreneurs fall into the trap of, and something I fell into the trap of, is working so much and neglecting some of the personal things in that bring us a lot of joy and pleasure. For me, that’s getting outside and walking by the ocean or hiking in the forest. I love being outside. So once a day, as long as the weather is nice, I will go outside for anywhere from 15 minutes to and hour. Whatever my day calls for. I also like to workout and play videogames. So I throw that into the mix too. By keeping to the 5 priorities, I ensure that I am moving my business forward every day. At the same time, I am also maintaining my sanity and the elusive work-life balance. And the great thing about the 5 priorities rule is that once those 3 business tasks are out of the way, the rest of the day is yours. If you want to work more, you can. We all know that the work never ends. If you want don’t to work more, you don’t have to but you don’t have to feel guilty about not getting any work done. Success is different for everyone. We all have our own definition of what makes us successful. For me, it’s building a life that allows you to get everything you want from it so that you can wake up every morning excited to start the day. I did that by building a business that allows me the freedom to take time off for my family and myself when I want to. It’s something that grows even if I’m not there every second of the day. Success is inspiring those around me and encouraging them to reach for their goals by being myself and sharing my life them via social media. It’s about leaving people better than when I found them and trying to impact everyone I meet in a positive way. Those are some of my ideas on success. People think it’s weird that I teach music and own a music school but don’t have a degree in music. I used to work for a pharmaceutical company and my background is in Biology and Archaeology. I know, totally makes sense, right? In my 20s, I decided that working an 8 hour a day job wasn’t for me. I loved science but it really wasn’t my passion and I was feeling bogged down and unhappy. I really loved performing music and writing songs. So I quit my job (which was about $65,000 at the time with great benefits and a possible yearend bonus) to pursue a career in music. My first month in business I made only $400. I know. Totally rolling in it. The first few years were not easy. I would get up at 5am on Sunday mornings to go flyer cars and I would get to Porter Square at 5:30am during the week to busk in the Subways for money. Whatever I needed to do to get myself out there, promote my business and earn money. I built my business up all by myself until I become overbooked and had to hire someone to help me take on the surplus. Then I had to hire another teacher and decided I should probably move the business out of the house. I moved into a commercial location in November of 2012 and haven’t looked back. The biggest people to help me on my journey was my parents. They never said no to me or that I couldn’t do anything. I know they had their worries and concerns, but they know I’m determined when I set my mind to something and that I’m persistent. They taught me about hard work and sweat equity and both of the them own or had owned business at one point. So I kind of learned the benefits of owning your own business from them. I have to thank my sister who bought me a guitar when I was in high school. My mom told her not to because I wouldn’t do anything with it. I don’t blame her because I wasted my piano lessons when I was younger. I’m really glad she didn’t listen and I’m glad I loved the instrument enough to teach myself how to play it. Of course, no business is amazing unless you have the support of wonderful staff. My employees have been through some highs and lows with me and I am forever grateful for their hard work and dedication. They really make the music school the success it is because they are in the school day in and day out making our customers happy. Last, but not least, I have to thank my fiancé who has supported me the entire way. We had only dated for many 3-4 months when I announced to her that I was quitting my job to pursue my passion. I think most people would have run away. Somehow, she just knew everything was going to be alright and instead of discouraging me, she always encourages me to think bigger and aim higher. When I wanted to get a small commercial space to play it safe, she encouraged me to get out of my comfort zone and go big. She has been my sounding board and my biggest support. I wouldn’t be where I am today without her input, love, dedication and advice.